На данном уроке речь пойдет об имени существительном – Noun. В ходе занятия мы познакомимся с понятием рода и числа существительного в английском языке, научимся образовывать множественное число «неправильных» существительных, а также узнаем, что такое сложные и собирательные существительные. 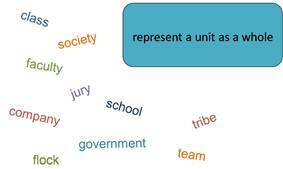 A noun is the name of a person, thing, place, or idea. by adding a syllable -ess,-ine,-trix (e.g., actor – actress, hero – heroine, lion – lioness, prince – princess). 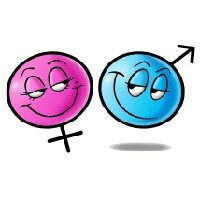 In English, most nouns do not have grammatical genders. So, they may refer to male or female people or animals. When you want to replace the noun in the sentence with the personal pronoun, you have to use he or shefor people (male or female) (рис. 2), it – for most other nouns. This is the bravest I have ever seen. has saved my life! This goes in for sports. goes for a run every morning! This is very comfortable. is my favourite one. Use these nouns with the singular verb (if they are used in singular) or with the plural verb (if they are used in plural). A deeris a graceful animal. There are three deer in the Zoo. This is a big fish. My father has caught it. Tropical fishare small and brightly colored. She gave me some good advice. – Она дала мне несколькохорошихсоветов. We have little information about it. – У нас малоинформации об этом. I am happy to know some good news from him. – Я очень рад узнать хорошие новости от него. nouns ending in -o + -es (e.g., potato – potatoes, hero – heroes). BUT: piano – pianos, photo – photos, kilo – kilos, zero – zeros. These scissors are very sharp. This pair of earringssuits you. These four pairs of jeansneed washing. Thesegoodsare very important to us. Compound nouns are very common in English. So, you need to stress them correctly. 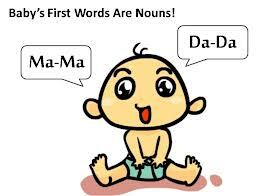 In compound nouns both words are stressed. And primary stress is on the first word. Пример:football, armchair, mailbox, writingdesk, highschool, swimming pool. 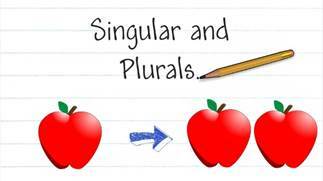 Compound nouns consist of two or more words. They may be written separately (e.g., night club, full moon), written with a hyphen (e.g., check-in, forget-me-not), or written as one word (e.g., flashlight, toothpaste). 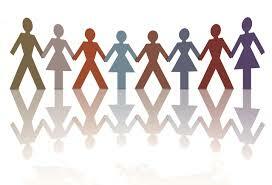 Collective nouns refer to a group of something as a whole unit (рис. 5). Every summer the football teamgoes on holiday. All members of the team are satisfied with the game. 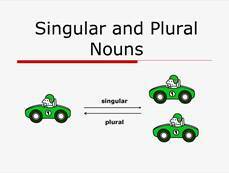 Nouns people and police are always plural. People say that the police are investigating the case. Пример:The Russian peopleis hospitable. – Русский народ гостеприимный. The peoples of this area have been living there for ages. – Народы в этой местности жили на протяжении веков. Чтобы лучше понять и усвоить особенности употребления существительных, необходимо выполнить следующее упражнение. Why do you need two (piano)? You can put some (sugar) in your tea. I need to wash my (hair). They have a lot of (money). How many (people to be) at the cinema with you? Could you give me some (information) on your project? Those (woman) seem to be very tired. Why are these (child) crying? I saw many beautiful (fish) in the Red Sea. The police in our town (work) well. These deer (to be) so graceful. All members of our class (like) this teacher. Why do you need two pianos? You can put some sugar in your tea. How many people are at the cinema with you? Could you give me some information on your project? Those women seem to be very tired. Why are these children crying? I saw many beautiful fish in the Red Sea. The police in our town work well. These deer are so graceful. All members of our class like this teacher. Упр. 89 Голицынский Ю. Грамматика: Сб. упражнений. – 5-е изд., – СПб. : КАРО, 2005. – С. 71. Упр. 99 Голицынский Ю. Грамматика: Сб. упражнений. – 5-е изд., – СПб. : КАРО, 2005. – С. 77.
б) Я дам тебе пару советов. в) Эти штаны нужно укоротить. г) Они насчитали три свиньи и десять куриц. д) Многим мужчинам нравится футбол. е) Её невестки всегда покупают ей подарки. ж) Полиция арестовала опасного преступника. з) Всем детям нравятся карусели.